Andrew Brunson in a photo provided by his family. Turkish President Recep Tayyip Erdoğan has for the first time confirmed publicly that a US pastor jailed in Turkey for the past 12 months is being held by his government as a political hostage. In a speech at his presidential palace yesterday (28 September), Erdoğan openly called on the United States to exchange Pastor Andrew Brunson for Muslim cleric Fethullah Gülen, a Turkish citizen living in exile in the US since 1999, who is accused of masterminding last year’s failed coup. Turkey’s President Recep Tayyip Erdoğan met up with his US counterpart, Donald Trump, just last week at the 72nd United Nations General Assembly in New York on 21 September. 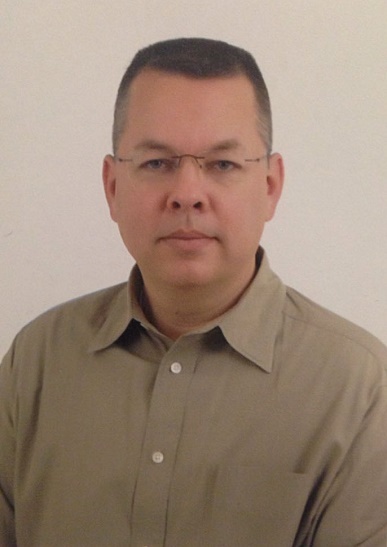 First detained to be deported as a “threat to national security,” Brunson had lived in Turkey for 23 years, involved in legally recognised church-related ministries. 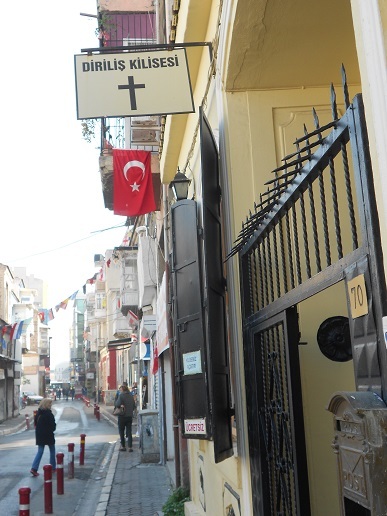 Two months after his surprise detention in the port city of Izmir, where he led the small Izmir Resurrection Church, he was formally arrested on accusations of involvement in unspecified “terrorism” activities. The presiding judge at his 9 December 2016 hearing referred verbally to allegations linking Brunson to the Gülen movement. This past March, Turkish Prime Minister Binali Yildirim denied that Brunson was being held as a political bargaining chip to obtain Gulen’s extradition, telling a visiting USA Today reporter that such an idea was “nonsensical. These matters are separate”. Then as recently as 24 August, Brunson was informed that even more allegations had been filed against him in an Izmir court, charging him with spying to obtain secret political and military information to “overthrow the Turkish government” and undermine the country’s constitutional order. But under US judicial procedures, extradition cases are decided by the federal court system, not the President or Congress. By contrast, under his new “state of emergency” decree issued on 25 August, President Erdoğan now has specific authority to arrange prisoner swaps to extradite foreigners jailed in Turkey. US diplomatic officials last visited Brunson on 18 September in the maximum-security prison where he is being held in Izmir.